insecticide solution against Spiders TECHNOCID effectively removes spiders invasive. 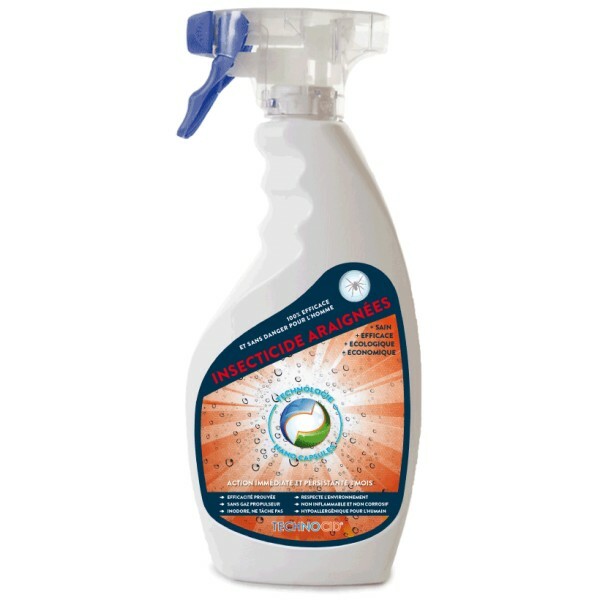 insecticide solution anti Spiders TECHNOCID effectively removes spiders invasive. A distance or preventive, it also generates a strongly repulsive extended against these pests. APPLICATION: Shake before use treatment. For each application, the rotating tip 90 °. Hold the bottle upright and spray 30-50 cm insects and passageways. Nano-molecular capsules contained in the aqueous solution can distribute active substances with greater efficiency while significantly reducing the toxicity to humans.